Widen our circle of friends, relieve loneliness, and develop support systems. 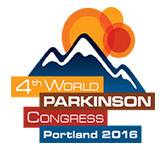 Share personal experiences, practical information, and resources for living well with Parkinson's. Obtain timely news about medical treatments, research findings, and clinical trials open for enrollment. Like ice cream, support groups come in many different "flavors." 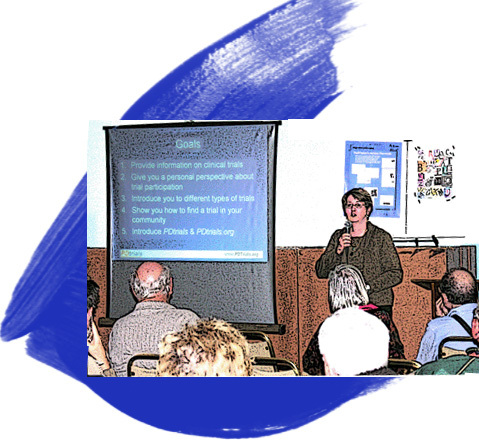 Each has its own personality, reflecting the unique skills, talents, and experiences of its members, which often include family and caregivers as well PWP. Support groups may be led by PWP or social workers/counselors. Some groups meet face-to-face, and others in cyberspace -- offering anonymity, and 24/7 availability from the comfort of home. Choosing whether or not and when to join a support group is a very personal decision. You will know the time is right when you feel such a group could meet your need for social interaction and emotional support. To find a support group in your area, contact one of the national PD organizations, your doctor, or local hospital, and read community calendar listings in your local newspaper. Before joining a group, attend a meeting or two as an observer, and talk to members about factors that may influence your comfort level. Remember that walking into a support group for the first time is not easy for anyone. If you can't find a support group you like in your area, start one of your own. I knew from the get go that ready made support groups were not for me. I am not now, nor have I ever been, a "joiner," not of Brownies, sororities, or political parties. Still I need to share my feelings and fears with others who have "shuffled a mile in my orthopedic shoes," so what are my options? I created my own support network of on-line friends I met while volunteering for various Parkinson's related projects. The strength, courage, and support of these women has carried me through many an emotional meltdown.